Larry has had a profound effect on the acting world, particularly the British theatre, which was always his first love. His big break came in 1930 when Noel Coward cast him as Victor Prynne in Private Lives. In the mid-30’s he joined the Old Vic Company under Lillian Bayliss and gained a lot of attention for bringing a raw physical presence to Shakespeare, and he contrasted with John Gielgud who was strictly classical in his acting. He became a matinee idol in late 30s/early 40s Hollywood films. His good looks, romantic films, and new high profile marriage to Vivien Leigh would make him a superstar. Larry’s real rise to fame on stage and in British cinema occurred during WWII. His acting and directing of Henry V transformed Shakespeare for the screen and gave a strong patriotic voice to wartime Britain. Meanwhile, he and Ralph Richardson were appointed directors of the Old Vic, and people were so excited to see Larry perform in person that they’d camp out on the street for a seat. Richard III, King Lear, and Oedipus were three of the plays performed during this time that gained him renowned critical adoration as an actor. In 1948, he and Vivien Leigh were appointed actor-ambassadors, and led the Old Vic on a 9-month acting tour of Australia and New Zealand. It was a huge success and helped solidify the legend of The Oliviers. In 1949, Larry became the first actor to direct himself to a Best Actor Oscar with Hamlet. The 1950s brought a string of plays and films for Larry including his film version of Richard III, but it was John Osborne’s The Entertainer in 1958 that would take his career and his life in an entirely new direction. By this time, his marriage to Vivien had all but broken up for good. In 1961 he married his co-star Joan Plowright and set off to establish Britain’s National Theatre. Widely regarded as the best actor of his generation, Larry gave powerful performances in plays ranging from Othello to Long Day’s Journey Into Night, thrilling audiences and inspiring a new generation of great actors including Anthony Hopkins, Derek Jacobi, and Michael Gambon. He turned again to films when his health limited him on stage, and still turned out amazing performances, being nominated for Oscars for Marathon Man and The Boys from Brazil. Cary Grant presented him with a Lifetime Achievement Academy Award in 1979. Larry passed away in 1989 at the age of 82, but has left behind a legacy of films and notoriety, especially in Britain. The Olivier Theatre, part of the National Theatre, was named after him. As were the Olivier Awards (Britain’s equivalent of the Tonys). Larry was a legend in his own time, and remains so for many in his profession today. I personally never got a chance to see Larry on stage (I was but 5 when he died), but I love his films. I think he was an actor who grew into his skin in front of the camera. In the early days he did not appreciate the film medium, and it showed in his stagey performances, but he was remarkable later on. Some of my favorites include Wuthering Heights, Rebecca, Hamlet, Richard III, and Carrie. Happy birthday, Larry! Thanks for being awesome! Happy Birthday, Larry! You will forever be remembered and revered. Larry was the first classic actor I “discovered”, and through him, I was introduced into the world of classic cinema. He will always remain as one of my favorite actors. My favorite films of his are Wuthering Heights, Rebecca, Pride and Prejudice, Henry V, and Hamlet. Happy Birthday Larry boy! To the greatest actor of the twentieth century, breathlessly handsome and was an all around nice guy! I celebrated Larry’s birthday watching Q Planes, Rebecca, Fire Over England, and Wuthering Heights. Like Jasmine i was introduced to the classics through Laurence Olivier in the early 60’s. I saw his production of Richard 111 on TV and became an instant fan and i decided to find out more about Shakespeare’s plays. I was spellbound by his performance as Richard 111 which i feel was one of his greatest roles and he really made it is own in my opinion. I wrote to Olivier at his offices in London and said i was a great fan and asked him to send me two signed photographs which he did and he also sent two charming letters which i still have to this day. 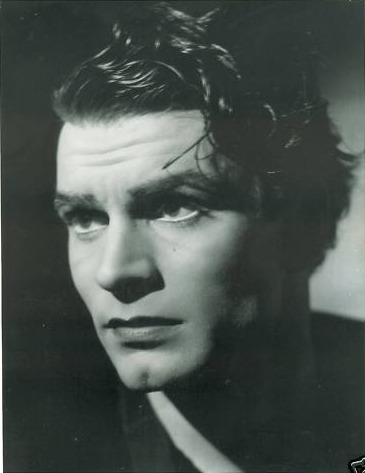 I think that Laurence Olivier was not only a good actor he also produced and directed all three of his Shakespeare films Hamlet, Richard 111, Henry V , and he really was the first actor to bring Shakespeare to the big screen and i think his three Shakespeare films have never been surpassed. I would have loved to have seen him in his younger days in some of the classical parts especially Shakespeare on the stage. I think he had it all good looks a beautiful speaking voice and he could act what a wonderful man he was, i wished i could have met him but unfortunately that was not to be.